QVC's shopping channels and The Africa Channel have become the latest satellite channels to move transponders, thus changing frequencies as part of a programme to reorganise services ahead of satellite changes next month. 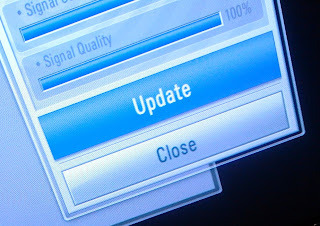 Most viewers with Sky or Freesat boxes won't need to make any changes, with the satellite TV platform operators making the necessary adjustments to their Electronic Programme Guides (EPGs), but where services have been lost, a satellite receiver reboot will often restore the channels. Viewers using generic free-to-air satellite receivers, such as those widely distributed in Ireland will need to add the channels based on their new frequencies. For The Africa Channel, the move has seen the channel move from Eutelsat 28A to Astra 2F, which should result in a stronger signal across the British Isles.